Louisa County High School is the statewide high school division winner of the 2018 “Arrive Alive” teen safe driving campaign sponsored by Youth of Virginia Speak Out About Traffic Safety (YOVASO), the Virginia State Police (VSP), and the Virginia Department of Motor Vehicles Highway Safety Office in partnership with Allstate and State Farm Insurance. Liberty High School in Bedford Co. placed second and Hidden Valley High School in Roanoke Co. placed third. Middle school winners of the “Arrive Alive” campaign are Dixon-Smith Middle School in Stafford Co., first place; Forest Middle School in Bedford Co., second place; and Drew Middle School, Stafford Co., third place. More than 50 high and middle schools in the commonwealth participated in the annual Arrive Alive campaign that ran from March 19 to May 4, 2018. The high school campaign focused on reducing risks and preventing teen driver-related crashes during the high-risk warm weather months and during prom and graduation celebrations. The middle school campaign addressed passenger, pedestrian and bike safety, as well as establishing safe driving attitudes and behaviors prior to the driving years. Winners in the high school division were selected based on their Creative Project, which was developed by students and emphasized the Arrive Alive campaign theme and messaging. The Creative Project was given the highest weight and was judged on content, percentage of student involvement, and creativity. Other judging criteria included educational and awareness activities aimed at changing driving attitudes and behaviors and the results of pre and post campaign distracted driving checks to discourage distracted driving among students. The results of the distraction checks showed an overall decrease in distracted driving among students at participating schools from pre-campaign to post-campaign. Middle school division winners were selected based on their Creative Project and educational and awareness activities on passenger, bicycle, and pedestrian safety. As the statewide high school winner, Louisa County will receive a check for $500. Liberty High School will receive $250 and Hidden Valley will receive $150. Dixon-Smith Middle School will receive $300, Forest will receive $200, and Drew will receive $100. All schools will receive a congratulations banner. Additionally, Poquoson High School in Poquoson City is being recognized for their outstanding efforts as a non-competing school during the campaign. The school will receive a full day with UNITE’s Arrive Alive Tour program which uses a high-tech simulator, and impact video to educate teenagers about the dangers of texting and driving and impaired driving. For more information about the “Arrive Alive” campaign or the YOVASO Program, call Mary King, Program Administrator, or Casey Taylor, Program Development Coordinator, at 540-375-3596 or visit the website at yovaso.org. 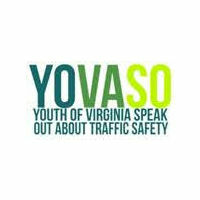 YOVASO is Virginia’s Peer-to-Peer Education and Prevention Program for Teen Driver and Passenger Safety and is a program of the Virginia State Police. Membership in YOVASO is free and open to all Virginia high schools, middle schools, and youth groups. YOVASO currently has 100 active member schools.